Join us as we build the best little Zoo in Scotland! 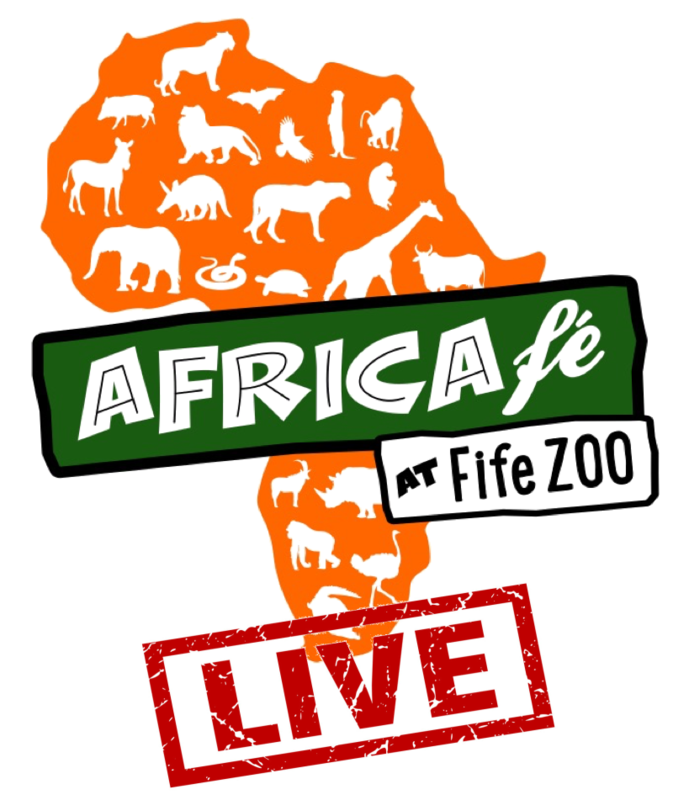 Fife Zoo is opening soon and while work is under way you can check out our fantastic on site coffee shop… Africafé! Right next to the main entrance there are loads of options whether you’re looking for a relaxing cuppa or a bite to eat. 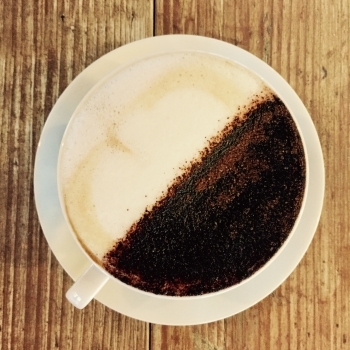 Our unique, eco-friendly African coffee shop has a wide selection of coffee and teas, plus delicious freshly made lunches, cakes and pastries. 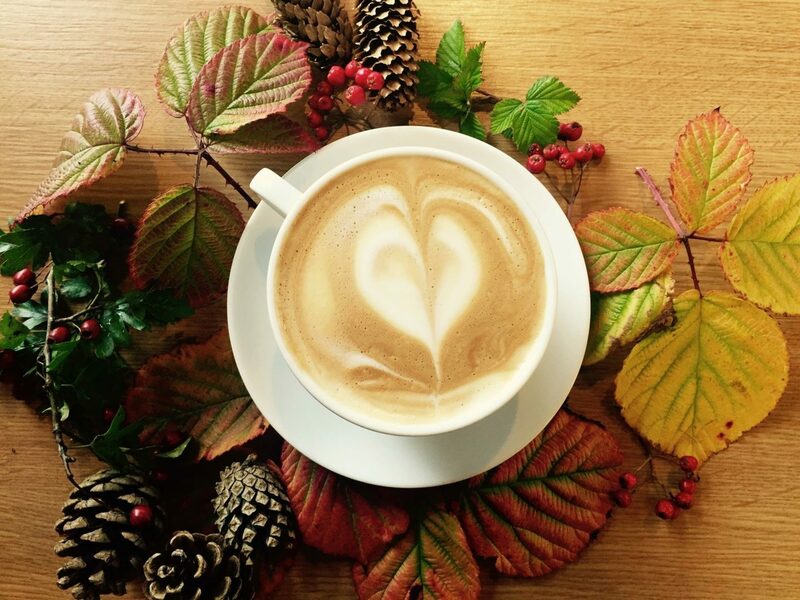 We’re committed to protecting the environment, so you can be sure that all of the food that we sell is ethically sourced and, if possible, locally made. 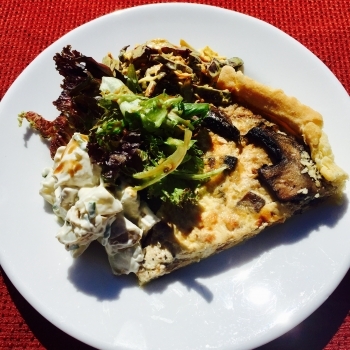 “The existing café is outstanding and very sustainably minded. 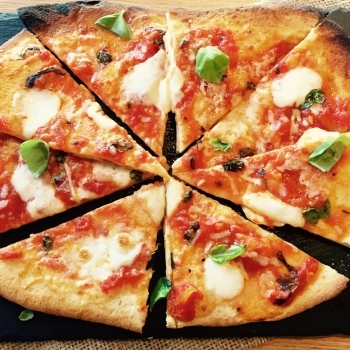 Suppliers have been thoroughly vetted and vegan menus and other aspects are really cutting edge.” – Jon Procter, Green Tourism Assessor. 10 inches. Handmade in House. Our outdoor play area is guaranteed to please even the most energetic little explorer. 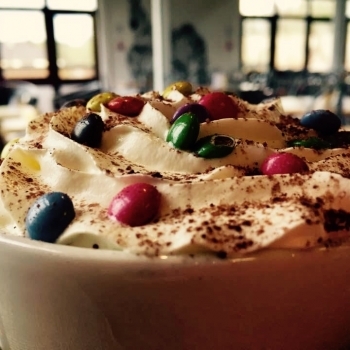 Filled with fun, the play area is located just outside of Africafé and in full view of the café’s seating area. Children love to play outside and this is a great place for them to do just that. 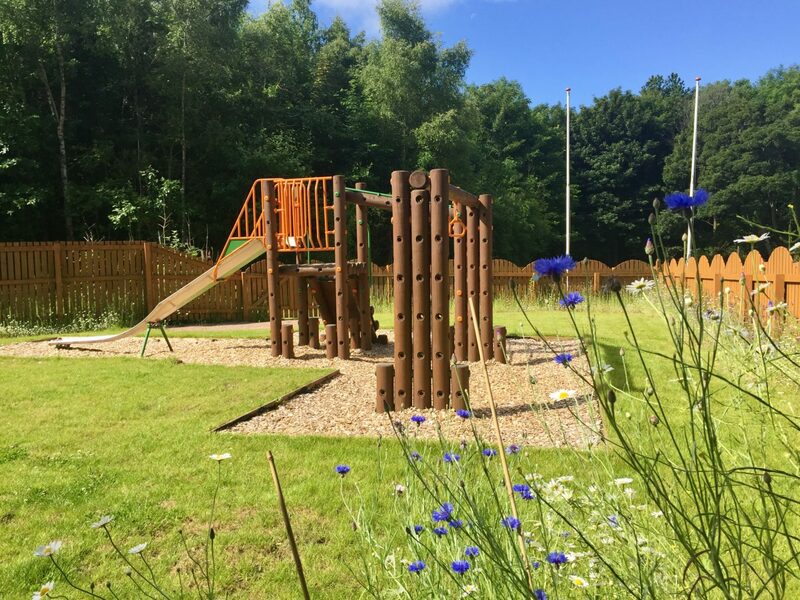 Our play area is surrounded wonderful wild flowers and plants allowing children to enjoy more of the outdoors while visiting Fife Zoo. Our outdoor play area is suitable for both toddlers (with adult supervision) and older children as well. We’re streaming LIVE from the heart of Africa every day! The Balule Game Reserve shares an open border with Kruger National Park and is part of an open conserved area of approximately 7 million acres. This huge ecosystem is home to Africa’s “Big 5”: Lions, Elephants, Rhinos, Buffalos & Leopards, as well as giraffes, zebras, hippos & hyaenas! 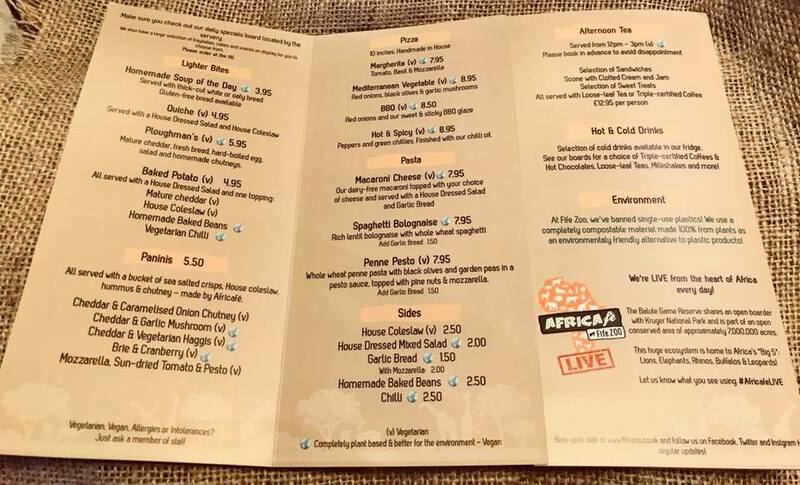 Our restaurant is fully vegetarian with an extensive vegan menu. Please ask our staff if you have any allergy concerns. Copyright © 2018 Fife Zoo. All Rights Reserved. Registered in Scotland. Company No: SC504557. Fife, Scotland KY15 7UT, United Kingdom.